I have decided that every Saturday I will write a post about something that has gone on during the week. I've always wanted to join in with weekly photos and talk about what we have been up to every day of the week but when it comes to Friday, I totally forget about what we did the day before, never mind the start of the week. So this is why I have decided to talk about one or two main things that have gone on during the week. If you are Welsh you may of known that I was St.David's day on 1st March. The girls were allowed to dress up in red or anything related to Wales, to school. 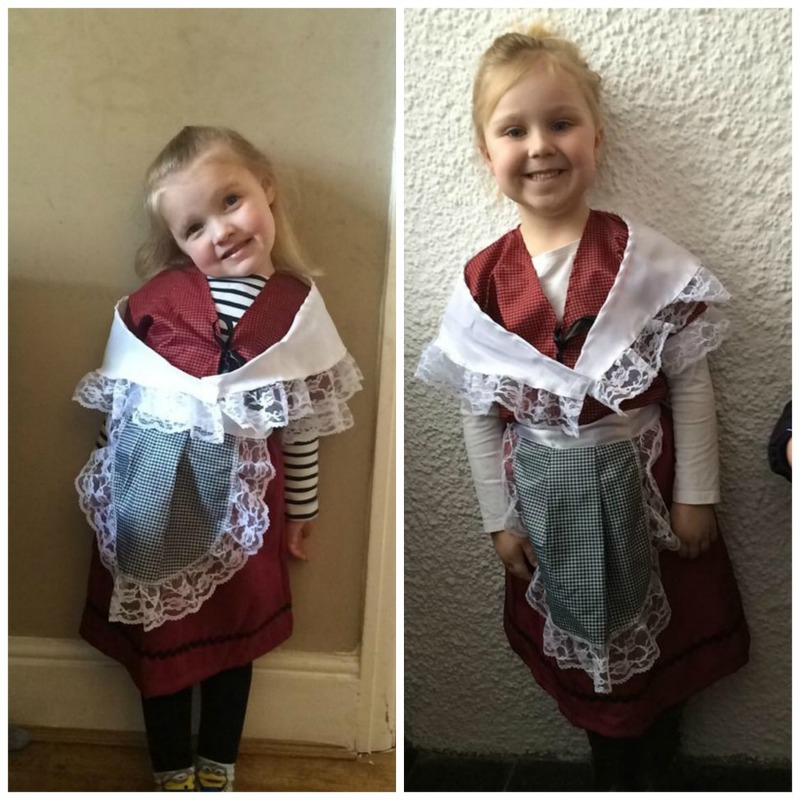 Before my partners parents went away to Thailand, they bought the girls some Welsh lady dresses, so they both wore that. They looked so adorable. On 3rd of March you all may have known it was World Book Day, if you didn't then you may have noticed your Facebook homepage was full of children dressed up! My girls were so excited for this. I chose some costumes the previous weekend and this is the first year their school allowed them to dress up for World Book Day, so I was little excited too. I knew they would love their outfits, but they had to wait until the morning. Luckily, they both loved their outifts. 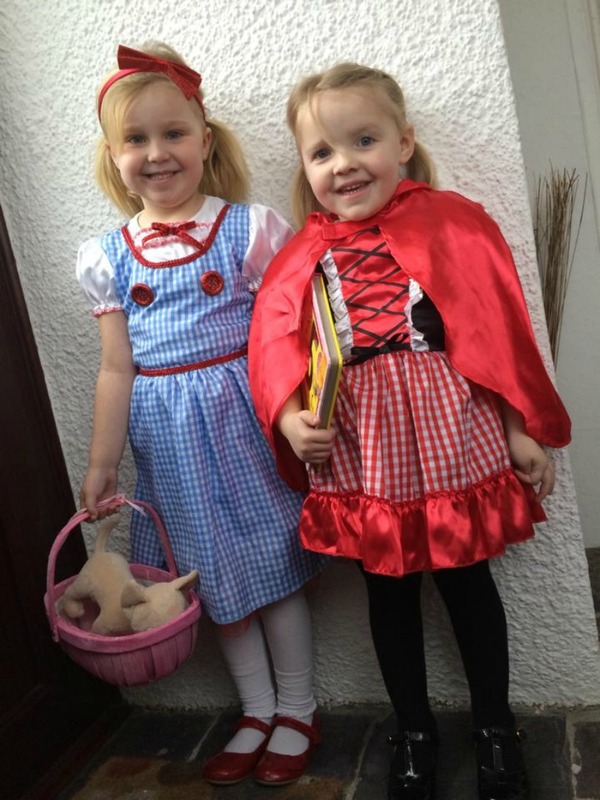 Mia was her favourite character Dorothy and Elliw was little red riding hood, from then on we had to call her Red! On Friday, my partner took the day off work. We finally started on the girls bedroom. We are giving the room a huge makeover, it is going to look completely different and I can not wait. I just hope it comes out exactly how I have it in my head, maybe a little better?! The girls currently sleep in separate rooms, but we are moving them into one room, so the Baby has the small bedroom. If you had not seen Elliw's room previously, it was a Minnie Mouse and pink themed bedroom. We are not transforming the room to a Monochrome/Rainbow theme bedroom. All walls are being painted white but I will be adding a lot of things on the wall to make it feel like a warm welcoming children's bedroom. I can not wait. I am hoping to do a two part post with the make over as I do not think the makeover will be completed properly until middle or end of next week, as I am yet to buy a few more bits. The girls had drawn on all 4 walls. Not little drawings either, huge drawings! Writing with biro, pencil, crayon and felt tip. Not fun. The paint wasn't covering so we had to sand everything down before we even started to paint. Bump happily helped! Thanks lovely. I hope this kind of post is ok to link up? I remember dressing up in Welsh costume when I was a child on St David's Day, we learnt welsh songs and folk dances too.- happy memories! Your daughters look gorgeous in their World Book Day costumes too. Your girls look great in their costumes! Mine went as Sophie from the BFG and Zog. Well done with the bedroom.. sounds like a lot of work! 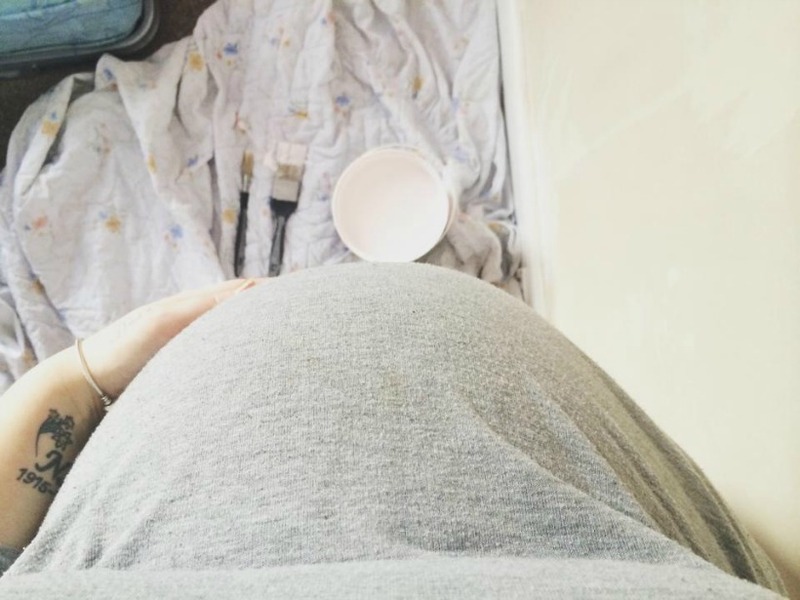 Your bump is coming along nicely! My twins school didn't do anything for world book day, how boring. Your girls look so cute in their outfits this week.